Fall leaves in Toronto are just spectacular – when seen on the trees before they hit the ground! One the peak fall season has past homeowners are faced with raking and disposing of those beautiful fall colours. However, getting rid of your leaves doesn’t have to be the chore that it normally is! There are a slew of uses to which those leaves can be put. If you have ever wondered if there was a better way of getting rid of your leaves other than lining them up in brown bags along the curb for the city to pick-up, you have come to the right place. Instead of raking up, bagging and getting rid of your leaves, some of the best things you can do is to keep them and use them in your garden. That’s right – leaves are very versatile and can be used as an insulating layer on top of your perennials or root vegetables to protect them during the winter. You can use your leaves as mulch. Leaves are a terrific mulch as they trap moisture effectively and because they don’t have any weed seeds in them, so they reduce the spread of weeds among your plants. 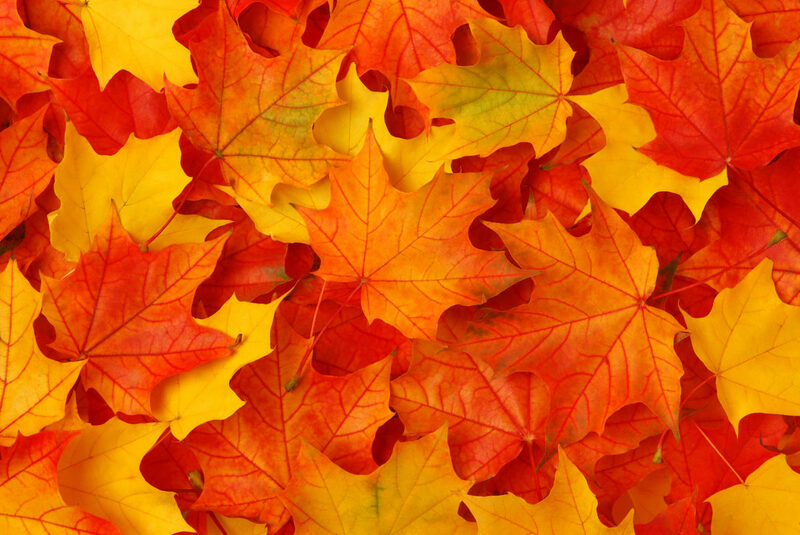 Using your leaves for composting is another great way to get rid of them. Mixing them with grass clipping and vegetable scraps (no meat!) will produce a fantastic compost pile. In fact, English gardeners go one step further and collect all of their leaves in plastic bags and keep them moist and tucked away for a couple of years. The natural fungi break the leaves down into a rich mold that is perfect fertilizer for your garden. If you really don’t want to put in any extra effort, just mow right over the fallen leaves. By chopping them up, they will more quickly break down in the spring and boost your lawn with all of the much needed nutrition it needs to thrive. Leaves are also great for storing root vegetables or fruits like apples during the cold season. Layer the leaves and fruit or vegetables in a cardboard box and store in a cool, dry place to help keep the fruits/vegetables fresh for months. Leaves don’t have to be seen as something that must be cleaned up – they are a gift from nature that can be used to keep your lawn, flowers and garden healthy year after year.